Most people over 50 have calcium mineral deposits in their arteries. How and why? It turns out that calcific vasculopathy is not a degenerative process as previously believed, but it involves regulatory processes that drive vascular cells to differentiate into osteochondrogenic cells, recapitulating embryonic ossification and producing full architectural features of bone. The cells responsible features with pericytes, and they have multi-lineage potential. Remarkably, they are capable of multi-scale, Turing pattern formation, via a reaction-diffusion process and left-right chirality. On micromachined substrates, smooth muscle and endothelial cells organize into patterns resembling known vascular structures. Clinically, vascular calcification predicts mortality. But statin drugs promote coronary calcification. Theoretical analyses suggest that calcium deposits promote rupture. Stress-strain curves obtained from inside arteries of living humans through instrumented balloon inflation devices show that calcium deposits lead to plaque rupture during balloon angioplasty. Dr. Demer trained in mathematics at the University of Arizona, obtained her MD and PhD in Biomedical Engineering at the Johns Hopkins School of Medicine, and completed her clinical and cardiology training at Baylor and the University of Texas. 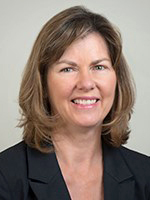 She has served as Chief of Cardiology, Associate Editor and Consulting Editor for the major cardiovascular journals, Chair of a Gordon Research Conference, charter member of NIH study sections, recipient of the American Heart Association Jeffrey Hoeg Award for Clinical and Basic Research, President of several national and international cardiovascular organizations, and inventor on 2 US patents. She is currently Professor in the Departments of Medicine, Physiology, and Bioengineering and Vice Chair for the Department of Medicine at UCLA. She also founded and directs the UCLA Specialty Training and Advanced Research (STAR) Program, which awards physicians who are already specialists the opportunity to study in PhD programs, including those at Caltech.